Address: Sitio Faria, Lote 3, Carvoeiro (Algarve), Portugal. The ample Praia Carvoeiro Villa is an Algarve property with an outdoor swimming pool and a green garden. The villa features multiple car parking and is 600 metres away from Vale de Centianes Beach. 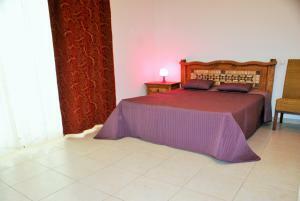 The air-conditioned villa features 6 bathrooms, an ample living room with a fireplace and a flat-screen satellite TV. It also includes free WiFi, a dining area and balcony, patio and a terrace. The self-catering property features 2 equipped kitchens, where guests will find all the necessary utensils to prepare their own meals. There are a number of local restaurants available at 500 metres from the villa. Praia Carvoeiro Villa features a games room featuring billiards table. For golfing enthusiasts, Pestana Golf is 5 km away and it is a 3-minute drive from Vale do Milho Golf. Guests can rent bicycles and cars through Praia Carvoeiro Villa. The Carvoeiro centre is a 5-minute drive and Lagoa is a 14-minute drive. Carvoeiro Beach is a 5-minute drive away. It is a 37-minute drive from Albufeira, with its many beaches and many seafront bars and restaurants. It is a 52-minute drive from the Faro International Airport and Praia Carvoeiro Villa provides a shuttle service, at a surcharge. Please note that the 30% deposit charged on day of booking must be paid by bank transfer. Praia Carvoeiro Villa by portugalestate will contact guests with further details.